Let’s face it: it is not always easy being the “baby” of the family. You get all your big brother’s hand me downs, from t-shirts to bed sheets to books to curfews. It could be easy, if you’re not careful, for your littlest dude to start feeling like second fiddle. 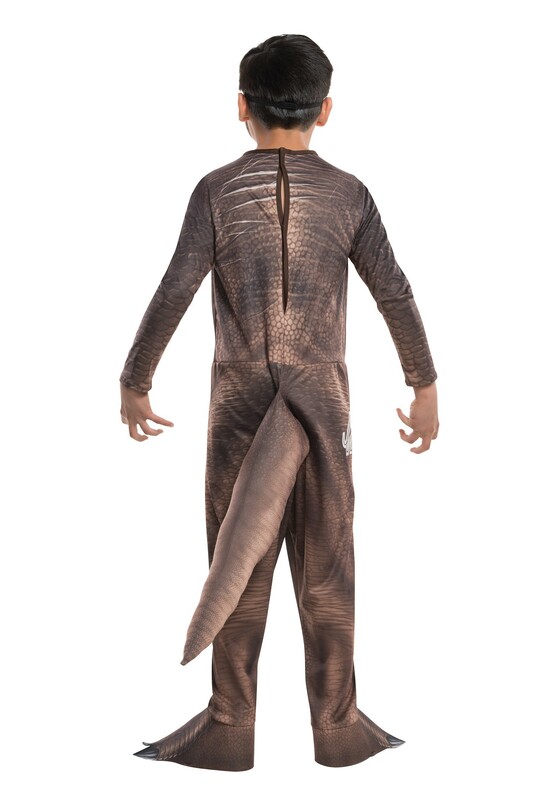 So this Halloween, let your youngest feel like the one and only king for a day--king of the dinosaurs, that is--in this Child Jurassic World T-Rex Costume, an officially licensed look taken directly from the blockbuster film! Not only will he a get an all-new, all-to-himself full body costume, but he will get to be the “it” dinosaur on the block. 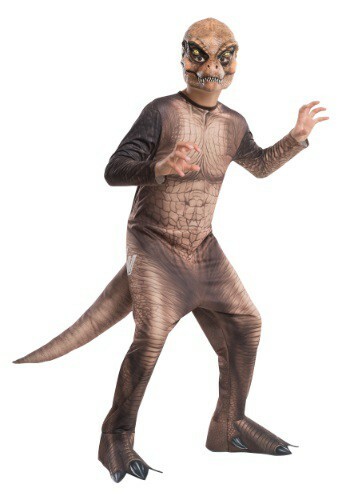 He’s going to totally flip when he tries this jumpsuit on--the tail, the mask, even the really realistic looking dinosaur feet shoe covers! And no one else in the family (or the world, for that matter) wore it before your little guy. THAT is going to make him roar with glee. Which is better than a T-rex roaring with anger. Or hunger, for that matter. No matter. Your youngest will be so grateful for the extra costume TLC, he may even forget to, say, kill Indominus Rex and wreak havoc on the neighborhood. Just don’t let any of the neighborhood kids wear those sneakers that light up around him. It could spark his ancient animal instinct and set him on a chase. Best serve dinner a bit on the rare tonight, because you’re bound to be dining with one happy dino!